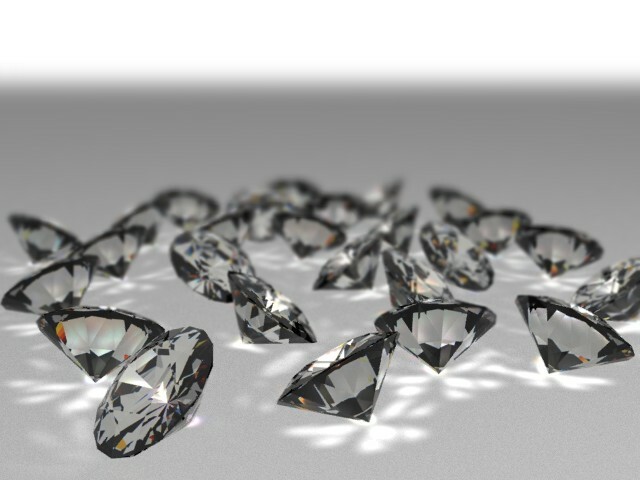 I recently started playing around with Yafray and made some diamonds to play around with caustics. I’m pretty happy with the results but any comments/suggestions are appreciated. Rendered with Yafray and DOF added with nodes in the first picture. That’s pretty neat:) I think your shadowed area needs more color, the gray kind of kills the realism. The refraction on the second shot is cool. Nice! but there is little bit hard to see the reflectivity in the secound shot. 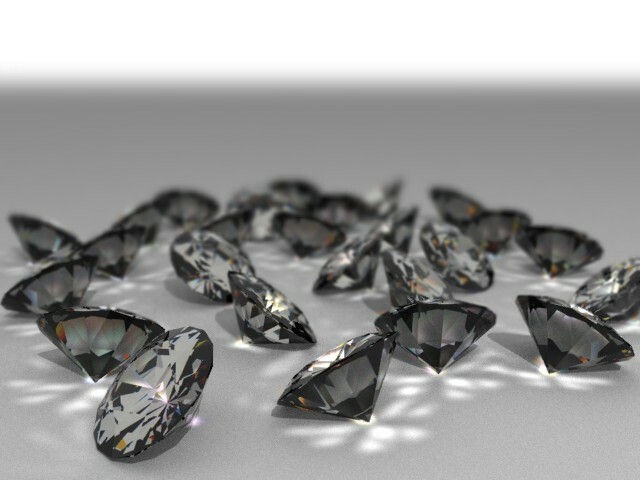 also, the diamonds in the first shot are realistic but they have no shadows. 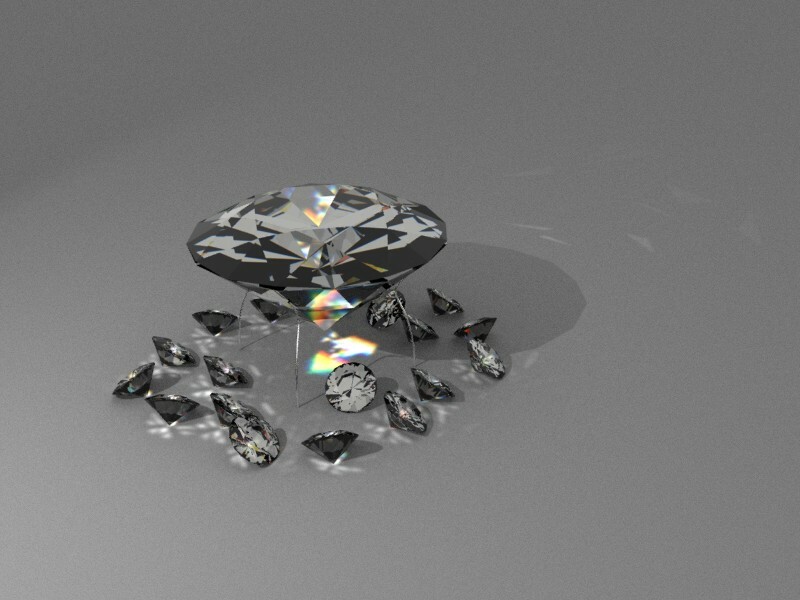 the diamonds in the first shot are realistic but they have no shadows. I assume your referring to the third image (same as the first but without shadows). I pretty sure that I’ll stick to the original but the lack of transparent shadows still bugs me.